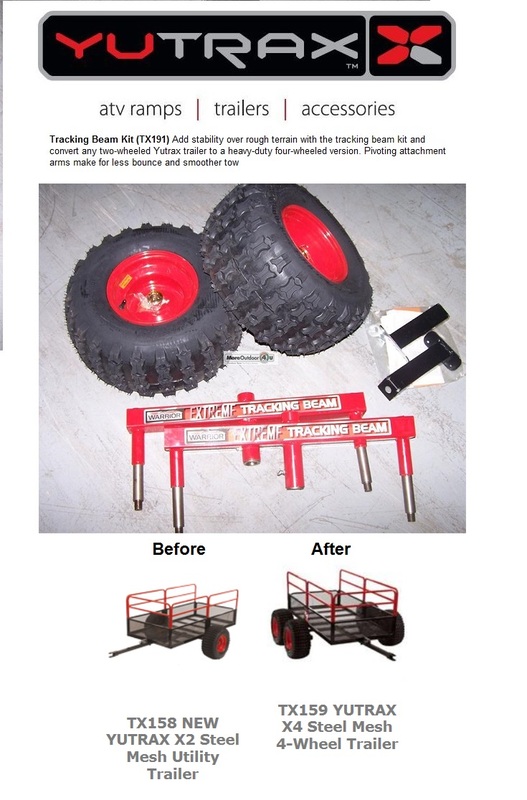 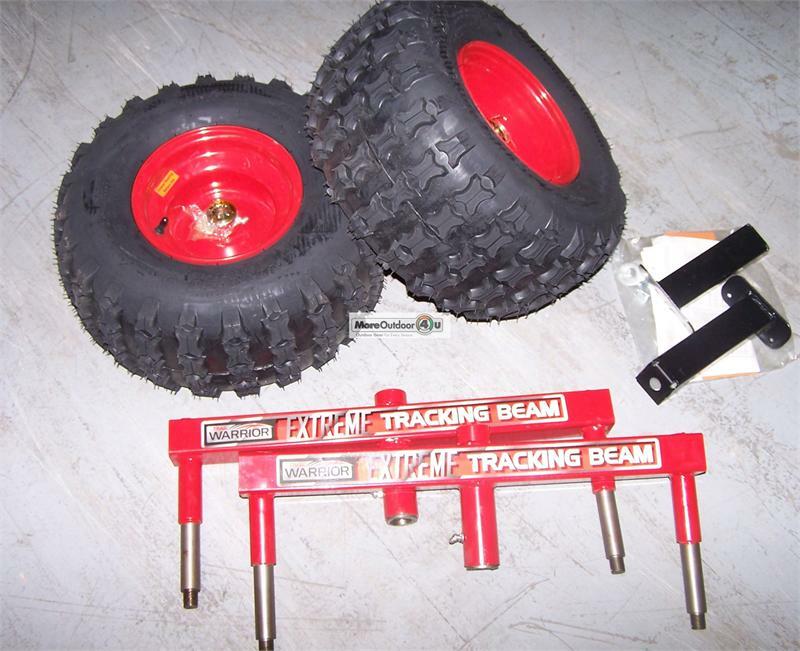 Bring more stability over rough terrain and convert any two-wheeled Yutrax ATV trailer into a heavy-duty four-wheeled version with the Yutrax Tracking Beam Kit. 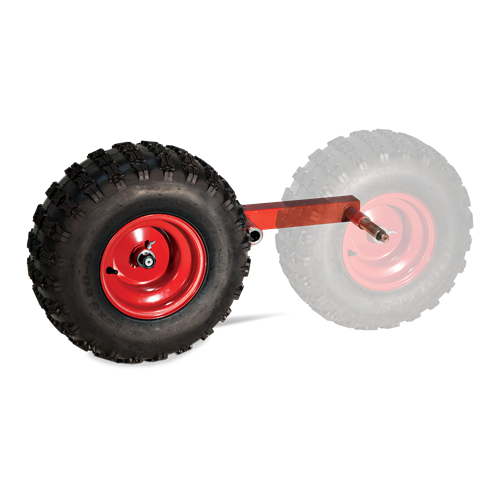 The kit features exclusive, heavy-duty pivoting attachment arms that ride over the contour of the ground, making for less bounce and smoother tow. 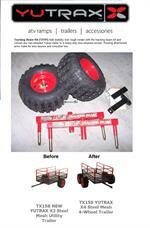 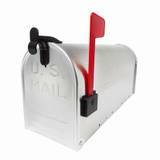 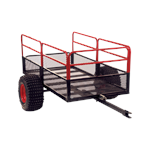 • Includes wheel assembly, tracking beam and hardware. 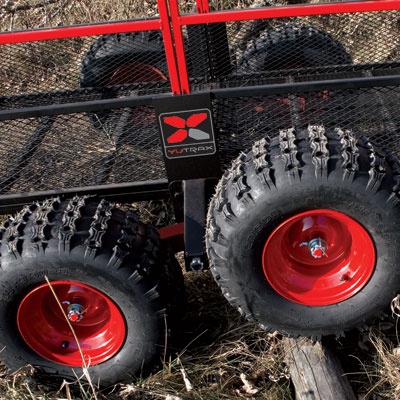 to a heavy duty 4-wheeled version with the Extreme Tracking Beam.